A tutor plays a very important role in the formation of the basic mentality and personality trait of a student. A teacher has a huge responsibility of shaping the future of a country by laying down a strong and concrete foundation by educating the student about the ethics and morality and true meaning of life. In this application tutor's subject knowledge will really know and understand by their experience level. We Consider offering a first session for free or a reduced rate. If they take classes in a quality way students can give references. This will be communicative and establish open environment through calls. There may be more possible to make class fun and exciting than school staffs parents can also Involve regularly about their son/daughter level. 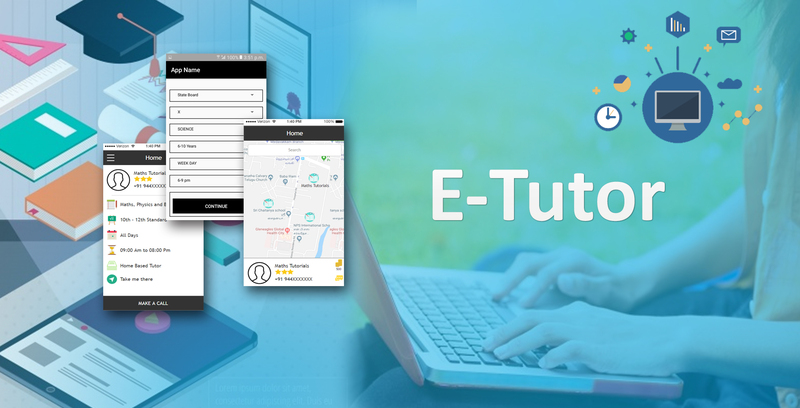 We can select the tutor by ratings Select a suitable tutor and a place from where you can comfortably go to class depends upon near by location based learning .